Posted January 28th, 2014 by Ms. Jen & filed under fun stuff, ideas + opinions. “Any language in contact with other languages borrows words. And English has always been, of course, a master borrower. A west Germanic language brought over with the Angles, Saxons and Jutes, it first took a lot of Norse from invading Vikings, then even more French from the Norman conquerors of 1066. When the English later themselves became conquerors, they promiscuously took on words from languages all around the world. And as science and medicine advanced, English writers took to coining words from Greek and Latin roots. I love spacelight for the sun, inwit for conscience, little flappers for birds, whale-road for the sea, and sun-print for photograph. Although, what should we call a digital still photograph? Sun-pixels? Posted January 24th, 2014 by Ms. Jen & filed under nature + environment, oh, california. Fri 01.24.14 – Here is a 30 second (top) and a 2 min (bottom) video from this morning’s big surf at Seal Beach, mostly 6-9ft with occasional sets and cross-over ‘A’ frames at double to triple overhead. The Seal Beach Lifeguards were out in full force, keeping the boogie boarders to the right of their trucks and the surfers in the contest to the left. As I say in the 2nd video, most of the time the surf is tiny in Seal Beach, with the exception of a beach break. We get bigger surf like this morning’s about once every few years, with the last good big surf in 2007 and 2008. Not only was there a very rare ‘outside’ break by the southern jetty, but occasionally a few big waves would break 1 km out at Esther the Oil Platform. And one set this morning even had waves big enough to be 2/3rds the height of the pier. Please forgive my bad commentary and panning in the 2nd video, I rarely shoot video and am not very good. Also, forgive any atmospheric haze or lack of clarity, as it was foggy and the fog horn was blowing its little heart out. But it was good fun standing on the berm with a couple of hundred other folk this morning, and it was quite the party with locals, other surfers, the old guys making comments, pro photographers with their huge lenses, and folks cheering on the brave (or foolish) out in the waves. Here are a few photos that I sent up in the moment to Twitter and Instagram. Both videos and still shots taken by Ms. Jen with her Nokia Lumia 1020. Posted January 19th, 2014 by Ms. Jen & filed under art + photography. Photos taken by Ms. Jen with her Nikon D800 and various lenses. Sun 01.19.14 – Yesterday, my Mom, Scruffy, and I drove to Anza-Borrego Desert State Park and Borrego Springs via a circuitous route through Oceanside, Pala, the Pauma Valley, Julian, and then finally over the mountains eastbound to the Anza-Borrego State Park and Borrego Springs in northeastern San Diego county. 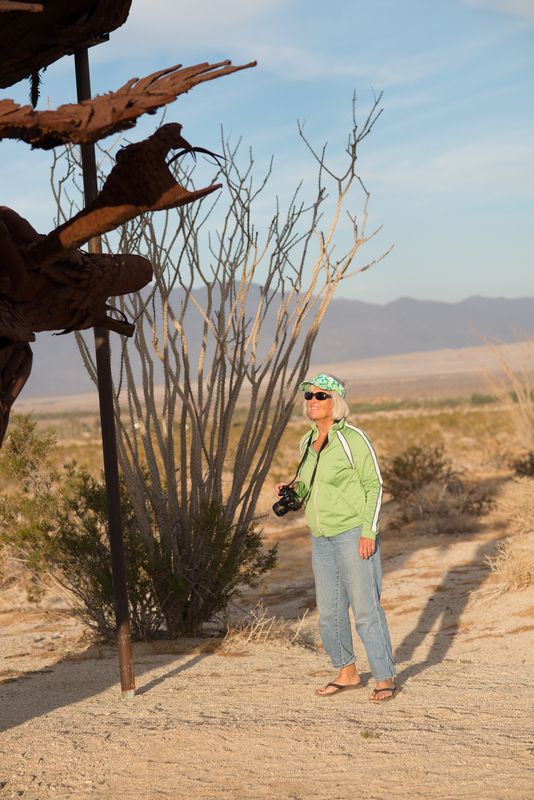 I wanted to see the desert and its flora, my Mom wanted to go see the Galleta Meadows sculptures that ring the outskirts of Borrego Springs. We started out from Huntington Beach at 10am and I dropped my Mom back off at 10pm. 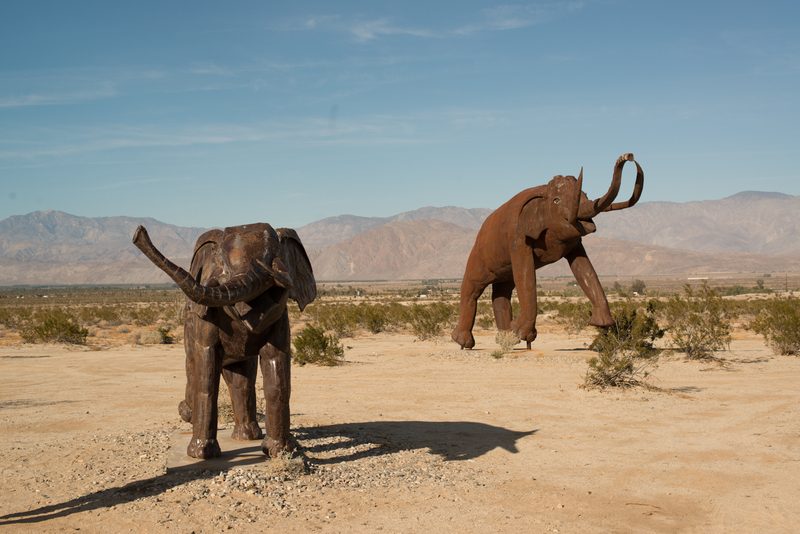 While a bit of a whirlwind, and yes we probably should have stayed in Borrego Springs, but I am glad we went. The Galleta Meadows sculptures were fun, the food at Carmelita’s was good, and the stars / Milky Way we saw driving east towards the Salton Sea were amazing. 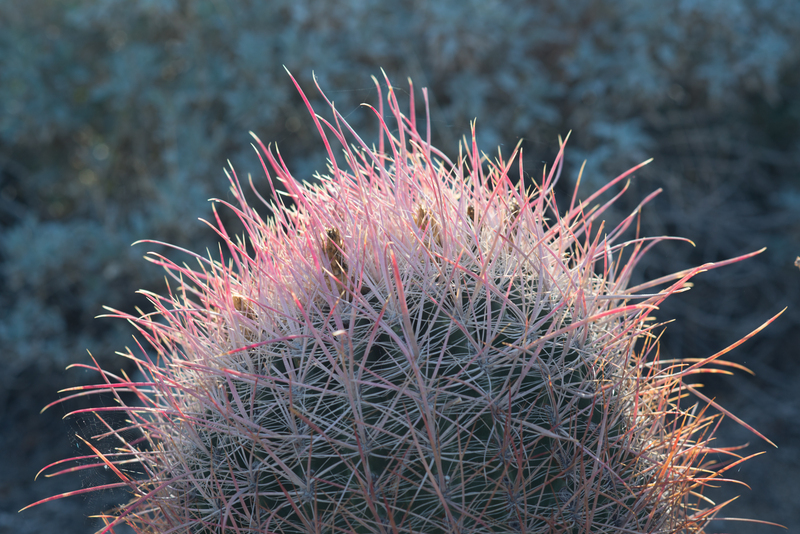 Next time I want to spend more time exploring the upper Anza-Borrego desert and go hiking in the Palm canyon area.